Written by Claudia Gray, I hoped Bloodline would equal or even surpass her wonderfully engaging Star Wars book entitled Lost Stars. I’m sorry to say that it didn’t. Bloodline is good, but it’s not great. It features a forty-something Senator Leia Organa. She is nearing the end of her career as a senator, and happily so. The New Republic has failed on many levels since its birth following the fall of the Empire, and the political gridlock has taken its toll on Organa. She wishes nothing more than to join her husband in space while also touching base with her son, Ben, currently under Luke Skywalker’s care. The senate is divided into two factions, which is often the cause of their chronic inaction. Someone proposes a First Senator, a position that would ensure forward movement. Leia fears such a title could lead to the next Emperor, and so she has no choice but to accept the nomination when her name is suggested. Soon her bloodline is questioned, as well as her true motivations. Up to this point, I very much enjoyed the book especially when it seemed as though I would witness the birth of the First Order, the terrible force plaguing the galaxy in The Force Awakens. I won’t go into great detail, but the story then takes a turn as Leia goes on several adventures, none of which directly lead to anything significant. By the end of the book, I’d lost interest because I did not get the enormous payoff I expected. I think Bloodline differs from Lost Stars mostly because in Lost Stars Gray worked with original characters that encountered milestone events from the original trilogy. Their story felt as though it could go anywhere and that made the characters all the more engaging. In Bloodline, it very much seemed as though Gray had been given an edict and could not deviate far from it. I sensed a certain constraint within the book, and once I realized it suffered from such parameters, I became disheartened. Though Bloodline offers a glimpse at the beginnings of the First Order, it ultimately serves as nothing more than an adventure for Leia Organa. 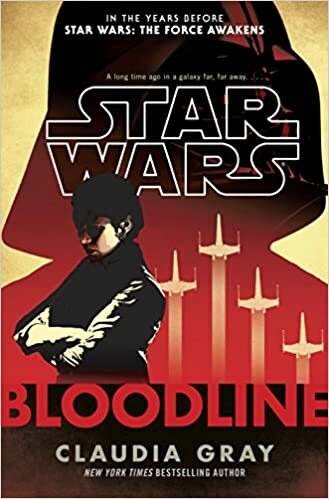 I’ve enjoyed the YA Princess Leia book, as well as the Princess Leia graphic novel, but for a writer of Gray’s talent and stature, I expected Bloodline to be far more potent and ultimately meaningful to the Star Wars universe. This entry was posted in Book Reviews and tagged arts, bloodline, Book Reviews, books, claudia gray, entertainment, Fantasy, fiction, novels, read, science fiction, star wars.